NORWALK, Conn. – Norwalk marked the holidays Friday with Norwalk Police collecting presents for children and a Christmas tree lighting at City Hall. It’s the second year Norwalk Police have held a “stuff a cruiser” event, Sgt. Sofia Gulino said Friday afternoon, marking the success by noting that a cruiser had already been stuffed with toys for local kids and police were working on their second load. 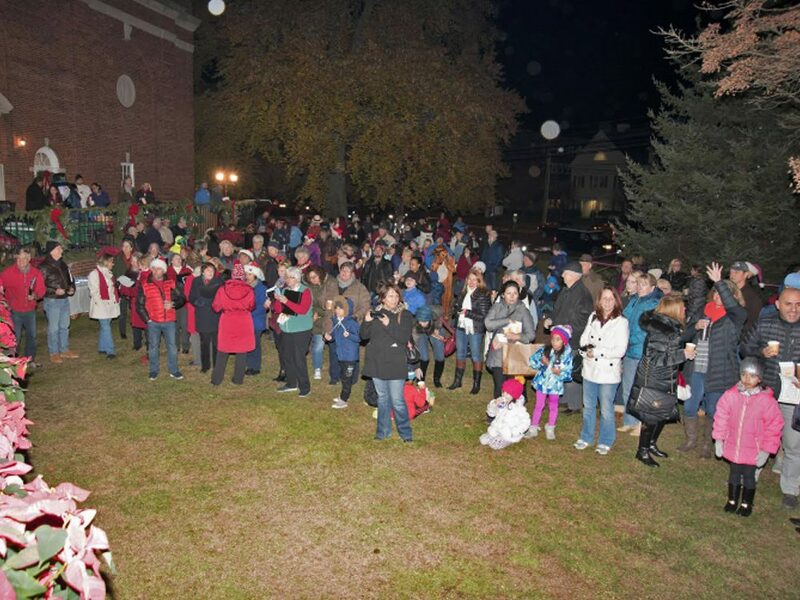 The Friday evening Christmas tree lighting featured performances from the Crystal Theater’s children and the Norwalk Community Chorale. Mayor Harry Rilling wished everyone a happy Hanukah, Kwanza, healthy and happy prosperous 2018 before the tree was lit up, and Santa Claus arrived on a firetruck. This town needs a festivus pole. @John Levin, you realize this would mean airing of grievances and feats of strength.